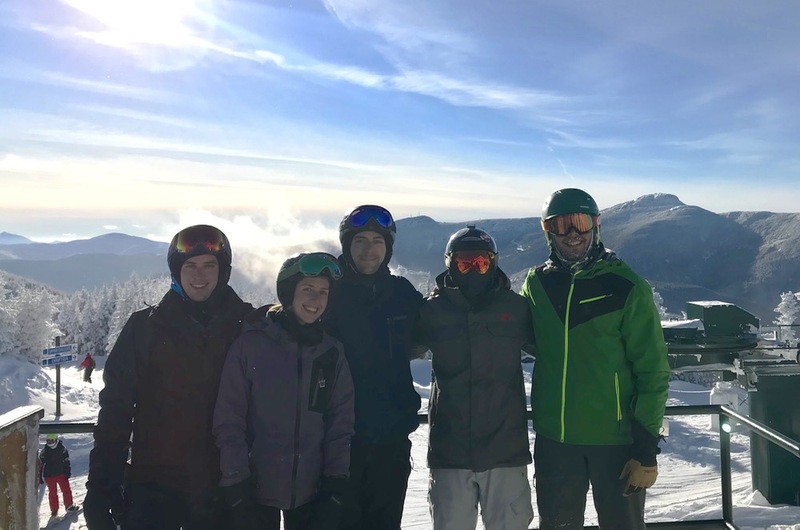 In December 2016, on an early-season trip to Killington, our group planned to visit Okemo on the second day. Conditions in the region were typical for December—the snow was hard, crusty, and mostly manmade with a slick layer of ice hiding underneath. 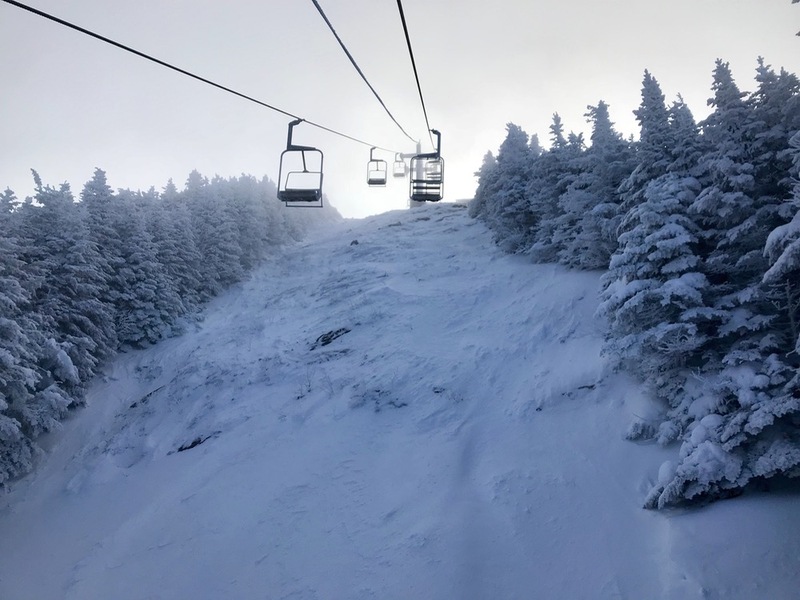 When I saw the next morning that Jay Peak had landed nearly two feet of surprise snowfall, I headed north in search of powder, with or without my friends. I arrived to waist-deep powder runs on some of the steepest trails and glades in the northeast, making the day trip well worth the five hours of extra driving. That was my first day as a “powderhound,” obsessively checking the weather and allowing Mother Nature to steer my Subaru to the mountains I would visit. Fast forward just over a year and we are in the midst of the best December that I have experienced since I started skiing five years ago. 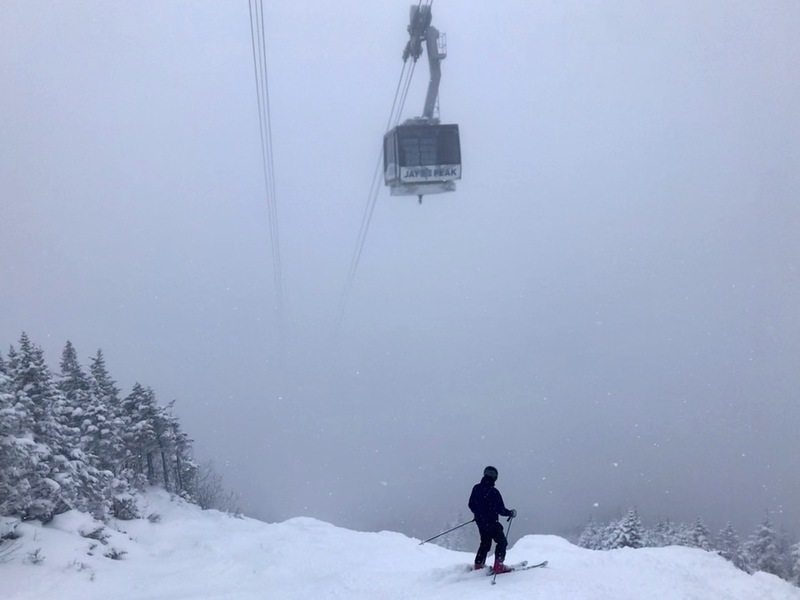 A string of winter storms had come through northern Vermont over the course of the week, dropping over three feet of snow on several of the resorts. 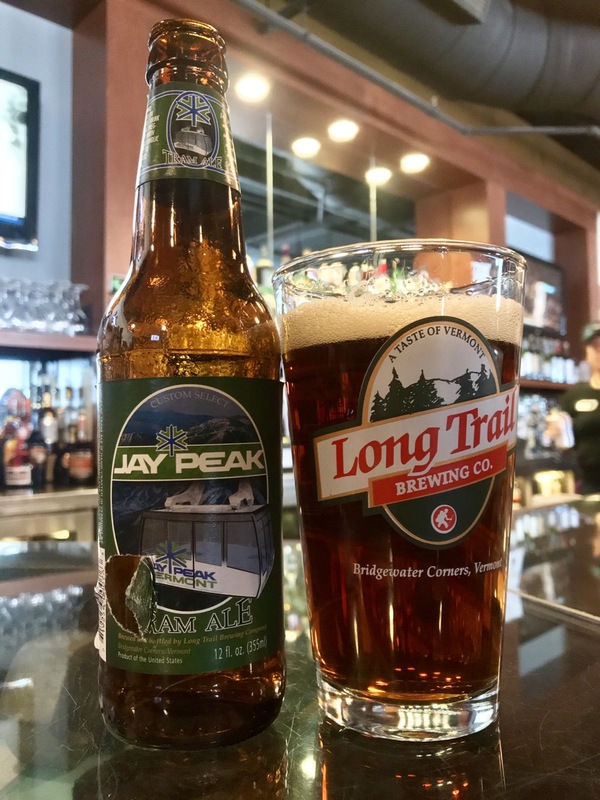 My ski buddies and I made plans to head north to Burlington where we would take day trips to Jay Peak and Smuggler’s Notch. I arrived Friday night to light snow, and I could see on the radar that the “Jay Cloud” was in full effect. In the morning, Kyle and I woke up and journeyed into the vast, remote forests of Vermont’s Northeast Kingdom. 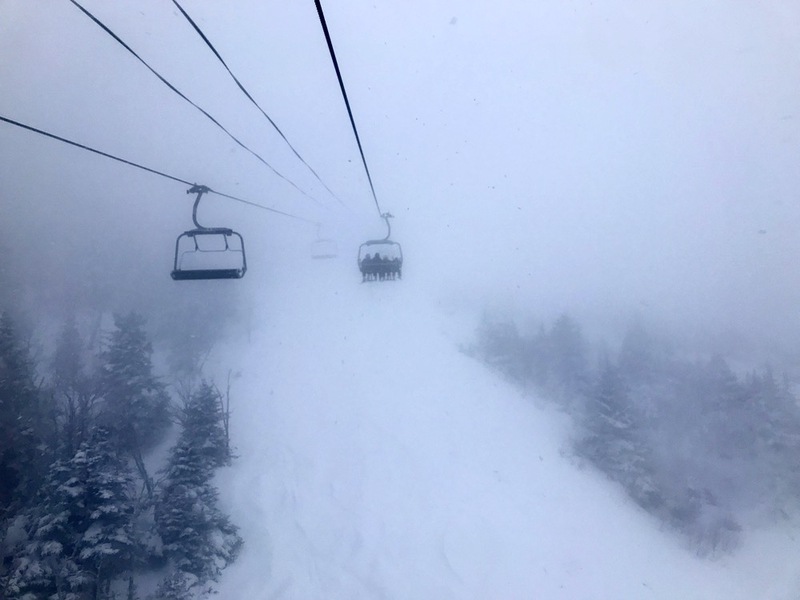 After an hour and twenty minutes of navigating windy, snow-covered roads through seemingly nowhere, we arrived at Jay Peak to steady snowfall. 3-4 inches of fresh, ethereally light snow had fallen overnight, and it seemed that much more was on the way. Even better, rumors of the tram opening were proven to be true, so Kyle and I booted up and boarded the mothership. I overheard a group of snowboarders discussing their first run of the day. Visibility was low but the trail count was high, so we headed for some favorite glades on the right side of the map. We were delighted to find that Jay left most of the trails ungroomed, so even the blue trails were covered in powdery bumps. When we entered the woods, there were barely any tracks, and the few that existed were being refilled with fresh snow. 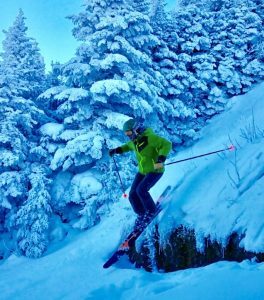 The coverage was still thin so we skied more cautiously than usual, but it felt great to make turns through fresh powder for the first time in over eight months. Next was Stateside to hit the sustained steeps of Jet and U.N. and my favorite glade, Timbuktu, where the coverage was deep enough to achieve a nice, steady flow through the trees. We then ventured over to “the freezer” or the Green Mountain Flyer, to hit some of my favorite steeps. The Bonaventure Quad wasn’t operating, so the trails on that section of the map required a small uphill traverse. The hike paid off with fewer skiers and more fresh snow. Kyle and I reaped the benefits with some pillowy soft, knee-deep laps on Can Am and River Quai. After one more ride on the tram to ski the ridiculously steep Green Beret, we headed to the bar for some Tram Ales and remarkably well-made poutine. After we were sufficiently refueled, we lapped The Tram and The Freezer for the rest of the afternoon, hitting more steeps and venturing into the Staircase Glades. The steep, tight chutes were extra difficult thanks to exposed rocks and stumps, and we did more “survival skiing” than I would have liked, but the prize at the bottom was worth the trouble: 1,000+ feet of wide-open, low-angle glades that were virtually untracked. We finished the day with some hot apple cider and headed to Stowe to meet up with friends at the Von Trapp Brewery for dinner. 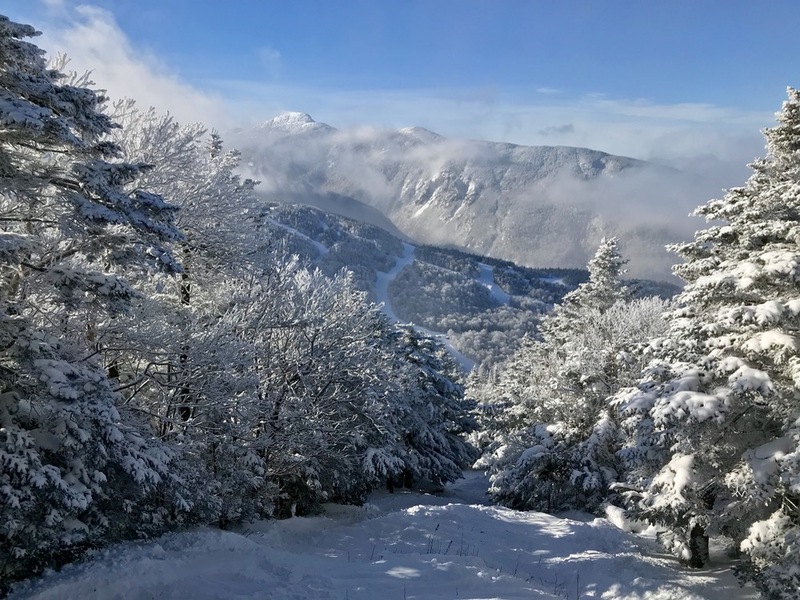 The next day we woke to frigid temperatures, but the sun was out and we were excited for a bluebird day at Smuggler’s Notch. Kyle and I connected with our friend Brendan and headed over to Smuggs, where we started our day on the Madonna 1 lift, which had just opened for the season on Saturday. Ski patrol was out dropping ropes, and we headed to the freshly opened Robin’s Run, Doc Dempsey’s and FIS. With knee to waist-deep powder coating all of the new terrain, I took advantage of the conditions to practice some consequence-free cliff drops. The skiing was fantastic, but the views were even better. This was my second time at Smuggs and my first time on a clear day, and I was blown away by the beauty of Mount Mansfield and the surrounding range of craggy, snow-covered peaks. We took a break in the Black Bear Tavern to drink a few beers, and I enjoyed a delicious grilled cheese sandwich with a pleasingly smoky and spicy chipotle tomato soup. Afterwards, we met up with other friends, Will and Jenny, and lapped Sterling for the rest of the day. 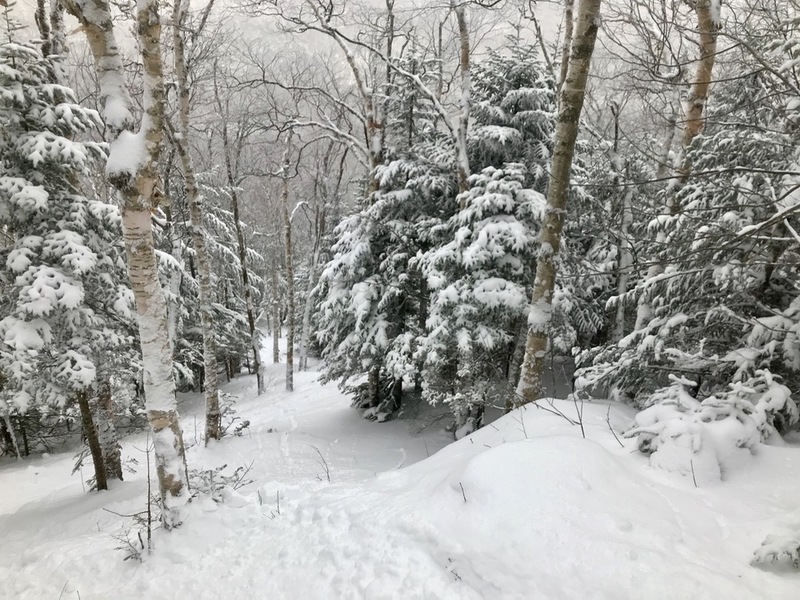 Jenny, a ski instructor at Smuggs, took us on a tour through her favorite glades and trails. Like Jay the day before, the coverage was thin, but the fresh snow and steep, technical lines were well worth the base damage. We finished the day with burgers and beer at Brewster’s, a cozy local tavern/dive bar just a few miles down the road that is a popular haunt for Smuggs staff and regulars alike. The ski areas of the Northern VT are, inarguably, quite far from New York, but every time I visit the region I am reminded that the drive is well worth the reward. The ski areas get western snow amounts and the idyllic Vermont towns have the appearance of snow globes that have come to life. I look forward to coming back later this season for another dose of winter wonderland. Damn, I’m sorry I missed this – but I’ll be around for some upcoming adventures soon enough. And you’re a maniac for driving all the way up to Jay for a day trip, but the good kind of maniac. And this only made me want to revisit Smuggs that much more. 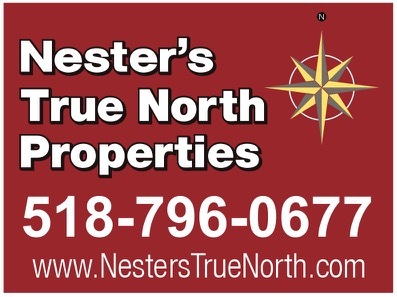 Looking forward to some great times in the Mad River Valley this winter.